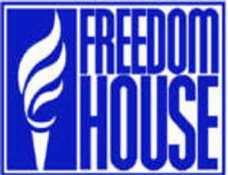 Freedom House has issued its annual measure of freedom in the world since 1972. For its survey, it looks at everything from freedom of expression to political pluralism and the right to free association. Its 2010 "Freedom in the World" survey, which reviews indicators from 2009, was released on January 12. It tracks a worrisome trend -- an ongoing, multiyear decline in the former non-Baltic Soviet states. The most significant steps backward were witnessed in the areas of governance and the electoral process. In countries ranging from Belarus to Uzbekistan, the "Freedom in the World" survey reveals a lack of institutional accountability and transparency. In a vast majority of the post-Soviet space, a vast zone of unchecked authority has been created in the absence of an independent judiciary and the marginalization of the independent media and political opposition. 2009 was the fourth consecutive year marking the trend. Christopher Walker, the director of studies for Freedom House and one of the authors of the report, says the findings suggest the screws are only being tightened further. "This year's findings tend to amplify some of the trends we've seen in recent years, including a deepening of authoritarian rule throughout much of the non-Baltic former Soviet Union," Walker says. "Among other countries, Russia underwent declines. This was a year that saw Kyrgyzstan go from [an overall rating of] 'partly free' to 'not free.' It also saw some of the few positive spots, including Ukraine, hold steady over the course of this calendar year, coming into Ukraine's elections in early 2010." Russia continued a long-standing trend in crackdowns on accountability and transparency, Walker says, despite pledges by Russian President Dmitry Medvedev to restore public debate and a more liberal political atmosphere in Russia after eight years under Vladimir Putin. "All in all, what we've seen is the continuation of the space that has shrunk over the past several years. And this last cycle is one where President Medvedev has been in control," Walker says. "And there's nothing to suggest that the policies he's pursued have modified or altered the basic framework of governance that has been put in place before him." Russia's downward trend included voting abuse in local elections, growing state manipulation in the academic presentation of history, and the ongoing use of political pressure to intimidate human rights activists and journalists. Russia has steadily declined in the Freedom House rankings over the past decade, sinking from a "partly free" overall rating to "not free." Arch Puddington, Freedom House's director of research and one of the authors of the report, says the steady erosion of political rights and civil liberties in Russia is a consequence of what he calls the "Putin effect." "An important part of the Putin agenda was to consolidate centralized state control over as much of Russian society as possible. And the second part of the Putin effect is what happened in the [post-Soviet] neighborhood as well," Puddington says. "We see a decline in political conditions in a number of countries in the Russian neighborhood, and we see that as having been in part driven by Putin's diplomacy." Russia's influence over its post-Soviet neighbors is undeniably significant. Puddington says some countries, particularly the energy-rich Caspian states, are pursuing their own versions of authoritarianism as they seek to break their ties with Moscow. But he adds that ultimately, most of the countries in the region are following the Russian model. "Countries like Kazakhstan and Azerbaijan don't want to be dominated by Russia, and they work to keep their independence; they're not puppets of Russia," Puddington says. "But they are strongly influenced by Russia; they have political systems that are quite similar to Russia's political system. I think that you're going to see Russia influencing the democratic direction of the whole region for a couple of decades to come." In the latest survey, Kyrgyzstan -- once the center of pro-democracy hopes in Central Asia -- moved from "partly free" to "not free" category. The downgrade was due, in part, to claims of voter irregularities in the country's July 2009 presidential election, consolidation of power in the executive branch, and new restrictive legislation on freedom of religion. The setback means the entire region of Central Asia is now rated "not free." Walker says the hopes that bloomed in 2005 for Kyrgyzstan and the region are now history. "Kyrgyzstan has turned out to be a sour disappointment in terms of political rights and civil liberties, and has trended downwards over the last two years," he says. "This year the consolidation of executive power, and the other issues connected to transparent governance, contributed to the country moving over the threshold from the 'partly free' group into the 'not free.'" Kazakhstan is another problem country in Central Asia. The energy-rich state witnessed a continued crackdown on journalists and rights activists. This included the case of human rights worker Yevgeny Zhovtis, who last year received a heavy prison sentence for his role in a fatal traffic accident. Supporters said the sentence was punishment for his activism. Observers like Walker worried that the Zhovtis case and others like it set a worrying tone as Kazakhstan prepared to become the first post-Soviet country to hold the chairmanship of the Organization for Security and Cooperation in Europe (OSCE). Walker says the Zhovtis case "was evaluated in tandem with pressure on the news media, including problems with 'Respublika' [newspaper], and other ongoing pressures on the independent sectors in Kazakhstan, which really are at direct odds with the pledges and the spirit of OSCE chairmanship obligations. To the extent that 2009 suggests the standard for Kazakhstan, it really does raise some serious concerns about the country's fitness to hold the chairmanship which it is now assuming." Azerbaijan is another country that has shown a continuation of very restrictive policies. Walker cited as particularly problematic the trial of bloggers Emin Milli and Adnan Hajizada, who were subjected to a long pretrial detention and ultimately convicted of hooliganism for an incident in a restaurant after they posted political videos on the Internet. "This, for many, was a signal both to users of new media as well as to the youth in Azerbaijan to steer clear of the politics in the country at exactly the time when the country needs a more candid conversation about public policies, diversification of the economy, and corruption," Walker says. Turkmenistan and Uzbekistan continue to hold the lowest freedom rankings, not only among the countries of the former Soviet Union but globally. "There has been an element of easing of the sort of highly polemical environment that we have seen in calendar [year] 2007 and 2008," Walker says. "The coming year will be particularly important to see whether the opposition can begin to build some meaningful alternative programs and to see whether the Saakashvili government can begin to make good on some of its pledges to further democratization in the country." Ukraine, for all of the flows and challenges that it has confronted since the 2004 Orange Revolution and the election of a pro-Western president, remains an example of some considerable democratic durability. "The elections that have been held in the country so far since late 2004 have been competitive, they've been plural, they've had a number of different forces involved in the political battles there," Walker says. "And by and large the news media has been able to comment with relative openness on this process." Outside of the former Soviet Union, one bright spot noted by Walker was Southeastern Europe. There, the status of the newly independent nation Kosovo improved from "not free" to "partly free," due to greater recognition of minority rights and the conduct of its November parliamentary elections, which were generally deemed to be in compliance with international standards. Montenegro's status moved from "partly free" to "free," due to the successful organization of parliamentary elections in March and progress in adopting anticorruption legislation.